A reader recently sent us some photos of worms he found in his bathtub. 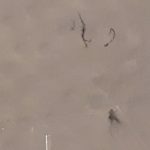 He wrote, “I believe they may be drain worms. I think there might be eggs around too. 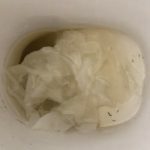 Your input would be great.” The first photo he sent just looks like the white tub, but if you look closely, you can see a cluster of something in the middle and a few filaments that look like pieces of hair or string but might be worms. In this photo, we can definitely see an organism, right in the middle of the photo. 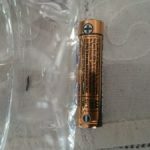 It appears to be very tiny, but its small appearance could be the result of how far away the camera was. We can see that it appears to be a red/brown color. 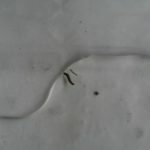 Based on this, we aren’t sure that our reader is dealing with drain fly larvae. Upon closer inspection, this might be a drain fly larva. It might also be a bloodworm (a.k.a. 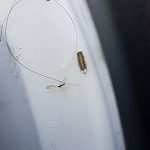 midge fly larva), another specimen discovered often by readers in their bathrooms! Like drain fly larvae, bloodworms feed on organic matter and typically live in polluted waters. A dirty bathtub is a prime environment for both of these organisms. Luckily for our reader, getting rid of both drain fly larvae and bloodworms requires the same steps. 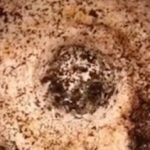 He will need to thoroughly clean out his bathtub and drain in order to eliminate the food source for these worm-like organisms. He will need to purchase a cleaning agent designed to kill organic material. Two products we recommend are Bio Drain gel and Bio Clean powder, which are both available for purchase on Amazon. Once his bathtub and drain are properly cleaned, he shouldn’t discover any more specimens. 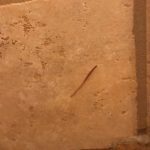 To wrap up, we aren’t totally sure what kind of organism our reader found in his bathroom, but we think he is likely dealing with either bloodworms or drain fly larvae. In order to prevent these specimens from appearing in his bathroom again, we recommend he clean his bathroom thoroughly every 2-3 weeks! 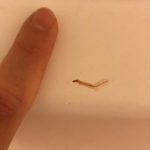 A reader recently sent us some photos of worms he found in his bathtub. He wrote, "I believe they may be drain worms. I think there might be eggs around too. Your input would be great."